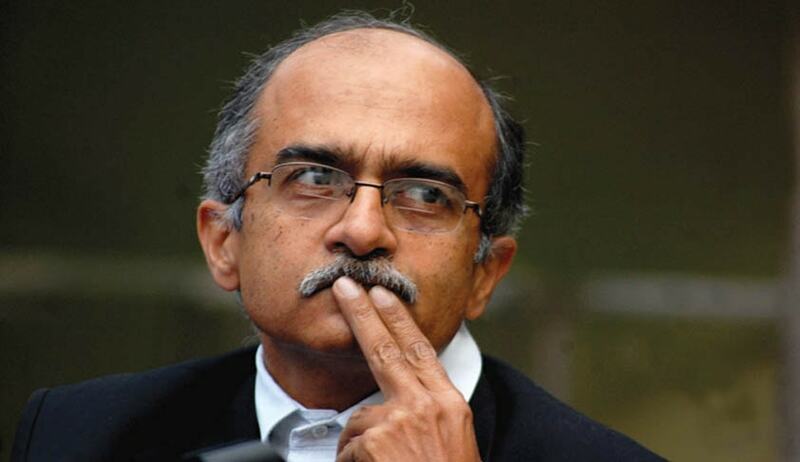 The Campaign for Judicial Accountability and Reforms has sent a letter to Finance Minister, Mr. Arun Jaitley, demanding public consultation on the appointment procedure for Supreme Court and High Court Judges, which is being revamped by drafting a fresh Memorandum of Procedure. In the letter, CJAR explains that various organizations, functioning as judicial accountability watchdogs, have long standing experience in working on issues of transparency and accountability. It has further forwarded to Mr. Jaitley, a proposal with suggestions for changes to the memorandum of procedure which has been worked on together with the VIDHI Centre for Legal Policy. With regard to appointment of Supreme Court Judges and Chief Justices of High Courts, it proposes a minimum age limit of 50 years and maximum age of 60 years, as on the date of consideration for appointment. In recommending the appointment of a permanent Judge to the High Court, the Judges being considered for appointment should be more than 40 years and less than 55 years of age. It further lists down several criteria to be taken into account, while recommending persons for appointment to the Apex Court and the High Courts. In case of a proposed elevation of a Judge, it lists down criteria such as number of cases disposed and number of judgments reported in journals, overall percentage of judgments overturned in appeal by Division Bench or Supreme Court instances of strictures or sanctions imposed by a superior court or authority in respect of the judicial functions, pending allegations of impropriety or misbehavior, etc. In case of advocates being considered for appointment, it proposes criteria such as number of reported judgments appeared in as lead counsel, instances of adverse remarks passed in a judgment against the conduct of the advocate, pending instances of malpractice pending enquiry, regular filing of tax returns along with asset declaration, etc. In making such recommendations, it suggests that the collegium shall strive to ensure that the diversity of India and the States, with respect to representation of women, Scheduled Castes, Scheduled Tribes, other backward classes and the distinct geographical regions should be adequately reflected. To this end, the proposal suggests recording of the minutes of Collegium meetings, and uploading of the same to the SC website within 24 hours of the meeting. At the same time, it suggests maintenance of confidentiality of the proceedings, by not identifying the decisions of specific members of the collegium with respect to appointment or non-appointment of a certain Judge. It further suggests that a vacancy should be advertised twelve months in advance, for the public to make applications or send in their nominations. Furthermore, the names of short listed candidates should be put out on the website at least eight weeks before the collegium meets to select the Judges, so that the public has an opportunity to send in relevant information or objections to the proposed appointments. In order to give complete effect to the recommendations of the Apex Court, it suggests that eligibility criteria and the procedure detailed in the MoP should be made available on the website of the concerned Court and the Department of Justice of the Government of India. The Supreme Court has also been obligated to make collegium proceedings public, irrespective of whether such proceedings are covered under the RTI Act, 2005. It proposes establishment of a Secretariat to the Supreme Court and the High Courts, for assisting the Chief Justice and the collegium of Judges with the task of appointment of Judges. Registrar (Appointments), having same qualifications and emoluments as a Registrar of the Supreme Court, is the proposed in-charge of the Secretariat. The proposed Secretariat would be composed of five persons appointed by all the Judges of the Courts and may consist of officials and non-officials. The members would have tenure of three years. Laying down a procedure to deal with complaints received against anyone who is being considered for appointment as a Judge, it introduces certain safeguards, to avoid abuse of process. It proposes rejection of anonymous complaints, unless accompanied by sufficient material. Identity of the whistleblower is suggested to be protected, to avoid victimization. It further suggests that a recommendation may be put on hold, in case the collegium finds prima facie merit in the complaint, and the person complained against be provided a chance to respond. If the collegium is unsatisfied with the response of the person complained against, it suggests that the recommendation of that person be withdrawn and procedure for fresh appointment of a new candidate be initiated. Taking a leaf out of the procedure followed in the Unites States of America, the proposal suggests insertion of an enabling provision allowing the Judges of the Collegium to have an interaction with the candidates being considered for appointment before they make the recommendation to the Government. Read the CJAR's MoP suggestions and letter sent to Arun Jaitley here.